"It’s unusual to have a new developer version on Friday, thus we also have an unusual non-default screenshot to start with – all in dark. 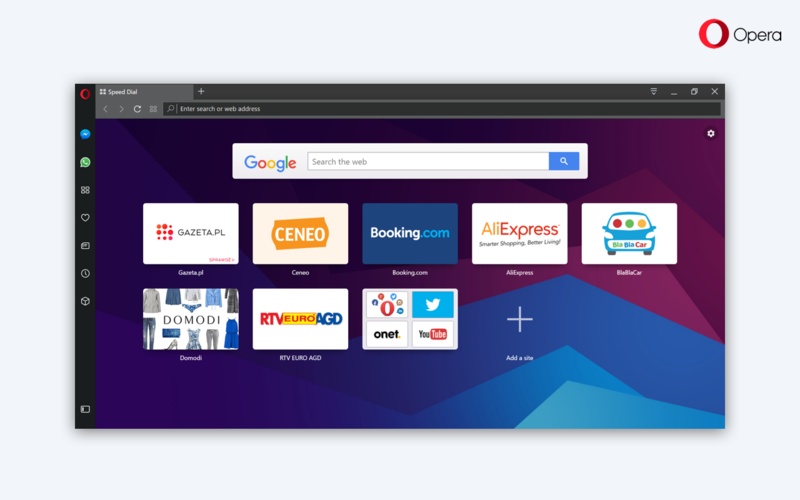 This initial build of Opera 46 comes with important fixes for the out of memory bug when using VPN, and one nasty crash, that might appear during startup. It’s important for us to verify them – our lab tests suggest, that there should be no further problems, but to be completely sure we need your help. Weekend comes, so browse a lot. In addition, there are multiple UI-related fixes. The most visible ones are addressing the misbehaving tool-tips, both in normal and private mode. Changes specific to Mac, such as removing little visual glitches, and minor fixes for ad blocker have been made. 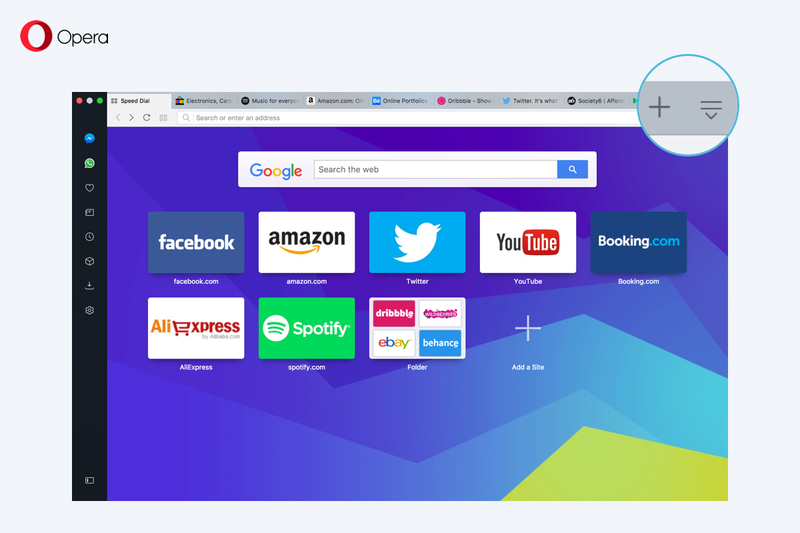 This version comes with an updated Chromium to version 59.0.3047.4, and enabled expensive background tabs throttling (opera://flags/#background-tab-throttling-max-delay-30s). You can try it out yourself: background timer throttling demo. If you encounter any problems related to background tabs and their behavior let us know." I always wondered if it wouldn't be easier to have just a topic for each version of Opera instead of creating one when the version is in Developer channel and then a new one when it reaches beta. Messenger and Whatsapp in the side bar doesnt work. After logging in i have always this: http://prnt.sc/etnths in messenger. I'm on linux mint. – More audio and video changes, including fix for a nasty memory leak. – Installation package is smaller. – Ad block improvement - support for tag names. – Sound notifications were turned on, while sidebar was unpinned. – On macOS it’s easier to move window if multiple tabs are opened. Area to start dragging between the plus button, and the tabs menu got slightly bigger. Known issue: you might notice, that some sidebar elements are blinking (especially, when you have configured the sidebar, or use synchronization). We’re already working on this, because we realize how annoying it is." The Chromium has been updated to version 59.0.3053.3. 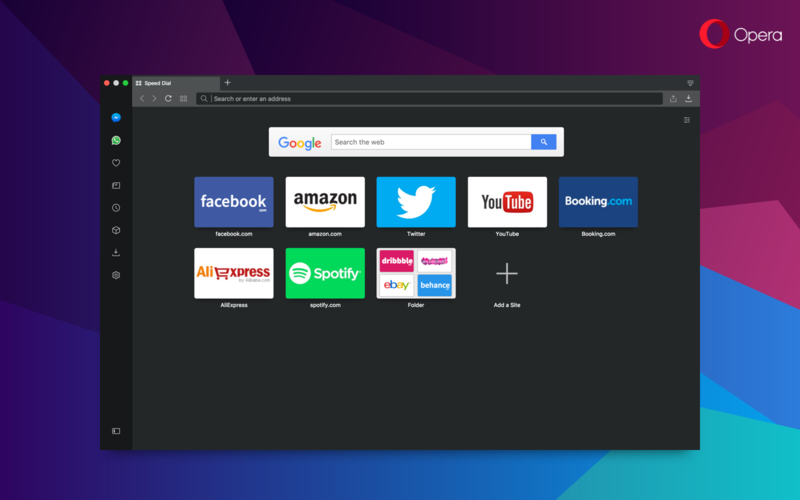 New update - Opera developer 46.0.2573.0 The change log, and the announcement. – New icon for start page customization. – Fix for links opened in new tab which wouldn’t render (macOS). – Unsorted bookmarks folder (if available) is listed in heart menu. New update - Opera developer 46.0.2590.0 The change log, and the announcement. Important info "We have dropped 32-bit Linux support from this version". – More UI-related changes regarding icons, style, and layouts. – Speed Dial is dark, when wallpapers are disabled and dark theme is enabled. – We fixed the issue of when sync was enabled, the Tabs menu item was missing in navigation bar. – Fixed issue, when the video pop out button was displayed in cases, when it shouldn’t. – ‘View in bookmarks’ button appears in bookmarks pop up, when the page has been added already. – When importing bookmarks, items from the bookmarks bar will appear in Opera’s bookmark bar. – We have changed HiDPI implementation, and because of that some issues are expected [Windows]. – Fixed video full screen issue with 1px line at the bottom [Windows]. – Chromium was updated to version 59.0.3067.6." – "DNA-60408 [Linux] Sub-menu after expand is visible /expandable/ only once" have been fixed. – Macbook touchbar users can enjoy an emoji-enabled input field. – Visual fixes for Windows, macOS and Linux (context menu black border is gone). – Fixes related to HiDPI mode on Windows (including huge fonts in internal pages). – Stability fixes for the most recent problems. – Chromium was updated to version 59.0.3071.26."